payroll. An AARP study found workplace retirement options increase the chances that an employee will save for retirement by 15 percent. By contrast, an AARP official acknowledged that fewer than 5 percent open an IRA through a bank. As such, state-sponsored pension plans may be able to significantly reduce the percentage of employees who do not have retirement plans. While some states such as Oregon, Washington, Illinois and California have already started enrollment into their respective plans, other states such as Maryland and Connecticut plan to implement retirement plans for the private sector in 2019. States are responding to a gap in coverage for small businesses, which are often unable to fund retirement plans for their employees, by either mandating employer enrollment or encouraging voluntary participation. Beginning in 2017, the OregonSaves program automatically started enrolling employees working for employers with 50 or more workers. The employees’ contributions are deducted at a rate of five percent from their paychecks and are put into individual Roth accounts. As of March 2018, 436 Oregon employers have registered for the program. This translates into more than 35,000 employees who will have the opportunity to participate in a retirement savings program. Approximately 79% of eligible employees chose to participate through automatic enrollment. By 2020, OregonSaves is expected to open enrollment for employees working for smaller companies. The state hopes approximately 131,000 small businesses will participate. Unlike other state-sponsored plans, the Washington plans are based on voluntary participation by both employers and employees. It also offers self-employed individuals an array of plans including SEP-IRA, Solo 401(k), or a simple IRA. The California Security Choice Retirement Program began enrollment in November 2018, requiring most employers with five or more employees to comply with program regulations. The employers must provide either a workplace option to employees or enable them to make contributions to the CalSavers Individual Retirement Account directly from the employer’s payroll system starting at a rate of five percent. The Illinois Secure Choice option, which also started enrolling employees in November 2018, requires employers with 25 or more workers to provide their employees with this workplace option by the same time next year. The program enables employees to make contributions to their plan by deducting five percent of the income from each paycheck. The Maryland state-run retirement savings plan was approved in 2016 as a requirement for businesses older than two years who employ an automatic payroll system and do not sponsor retirement plans for their employees. While employees will be able to opt out of the plan, Maryland wants to help approximately 1 million workers save for their retirement. Even if a business is not required to participate in the program, its employees can still participate in the program. Chair of the Maryland Small Business Retirement Savings Board hopes to open enrollment for the plan in 2019. The Connecticut Retirement Security Exchange requires most employers to automatically enroll their employees into the plan. An exception is made for small businesses employing fewer than five employees, in which case participation is voluntary. The AARP in Connecticut estimates that a state sponsored plan like CRSP will help 600,000 employees. Overall, a state-sponsored plan benefits both employers and employees. Depending on the state, such plans give anywhere from 500,000 to millions of employees a workplace option that increases their chances of building a retirement fund by 15% according to the AARP study. Additionally, employees with retirement plans are more likely to increase their Social Security benefits by delaying the date when they elect to start receiving benefits. Based on projections of state-sponsored pension funds, Pew found that 40 percent of employees may be able to wait a year or more before they claim Social Security benefits if they have contributed to a pension plan. Participation in a retirement plan may also help future retirees who will be subject to the gradually increasing full retirement age at which Social Security allows Americans to begin claiming benefits. There are concerns for businesses regarding compliance requirements and their liabilities associated with automatically enrolling their employees. There may also be concerns about whether or not a business qualifies for an exemption if they already provide a workplace option for their employees such as a 401(k). Considering each state plan may differ in their compliance requirements, businesses will want to keep up-to-date with their state’s implementation of a state-run retirement program and any compliance regulations. 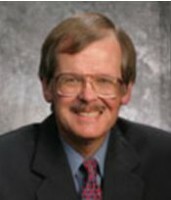 Mark Johnson, Ph.D., J.D., is an experienced pension and ERISA expert. As a former ERISA Plan Managing Director and plan fiduciary for a Fortune 500 company, Dr. Johnson has practical knowledge of plan documents as well as an in-depth understanding of ERISA obligations. He works as an expert consultant and witness on 401(k), ESOP and pension fiduciary liability; retiree medical benefit coverage; third party administrator disputes; individual benefit claims; pension benefits in bankruptcy; long term disability benefits; and cash conversion balances. He can be reached at 817-909-0778.